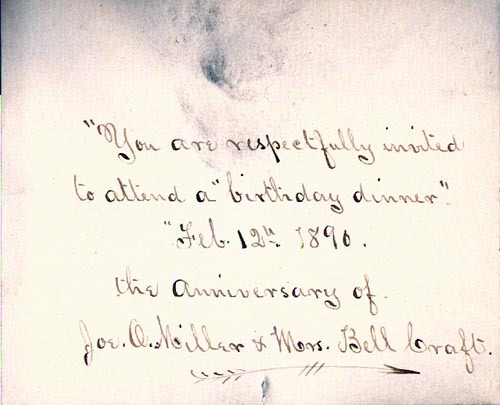 You are respectfully invited to attend a "birthday dinner." Feb. 12th, 1890. The anniversary of Jos. O. Miller & Mrs. Bell Craft.